A team of international researchers from the Jefferson Lab Q-weak Collaboration has reportedly measured the strength of the weak nuclear force that operates between a single proton and single electron for the first time. An international group of scientists successfully measured one of the four fundamental forces of nature: the weak nuclear force. After gravity, the second weakest force and the one with the shortest range is the weak nuclear force. This fundamental force of nature is named weak force because even if it is stronger than gravity, it is only useful at short distances. It governs the decay of unstable subatomic particles like mesons and is said to initiate nuclear fusion reaction which is known to fuel our Sun. A team of international researchers from the Jefferson Lab Q-weak Collaboration has reportedly measured the strength of the weak nuclear force that operates between a single proton and single electron for the first time. The measurement was detailed in a study published by the team in the journal Nature. “The weak charge of the proton is almost zero,” Allena Opper, the program director for nuclear physics at the National Science Foundation, said. “This is one of the first times we’ve had the technology to do it.” According to the paper, the value measured by the team was 0.0719. To measure the proton’s weak force, the researchers created an experimental device that could spot it called Q-weak. At the Thomas Jefferson National Accelerator Facility, the “scientists scattered beams of electron off of protons in liquid hydrogen.” The said beams are of two different configurations based on spin, a quantum property of electrons. It was observed that the spins of the electrons were either parallel or anti-parallel with the beam. After colliding with the protons, the electrons would scatter primarily due to the interactions that involve electromagnetic force. During the experiment, the beam alternated between firing electrons with parallel and anti-parallel spins around 1,000 times per second. The researchers then discovered that there are 226.5 parts per billion difference in scattering probability with a precision of about 9.3 parts per billion. “This is the smallest and most precise asymmetry ever measured in the scattering of polarized electrons from protons,” Peter Blunden, a physicist at the University of Manitoba in Canada, was quoted as saying. 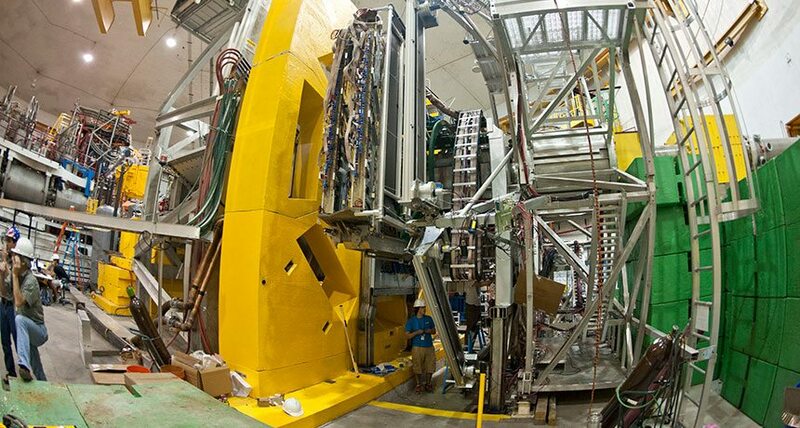 While the measurement was made for the first time, the result of the experiment is not entirely considered a huge thing in the world of physi.cs since it only falls in line with what would be expected of the Standard Model of physics. “If the measurement had deviated from the prediction, it would be a strong signature for a new type of as-yet unknown force that is acting between fundamental particles,” Ross Young, a researcher from the University of Adelaide in Australia, said.